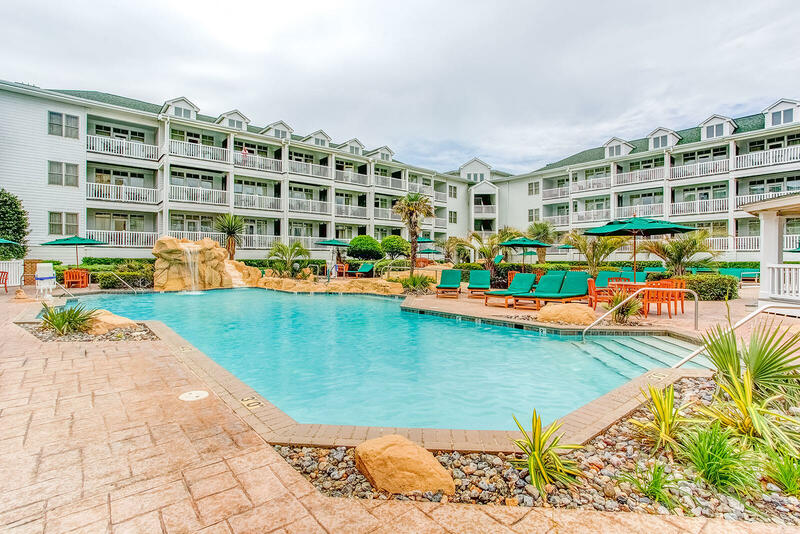 Located at the end of Virginia Beach Boardwalk’s south end, Turtle Cay Resort offers a relaxing destination for family vacations, group getaways and romantic escapes. Retreat from the crowds and enjoy access to the resort’s private courtyard featuring two outdoor pools, two hot tubs and a gazebo. Spend the day basking in the coastal sunshine while reading or just enjoying the tranquil sights and sounds from the resort’s nine-foot waterfall. After an enjoyable day taking in the sights, cozy up in your spacious studio or suite.